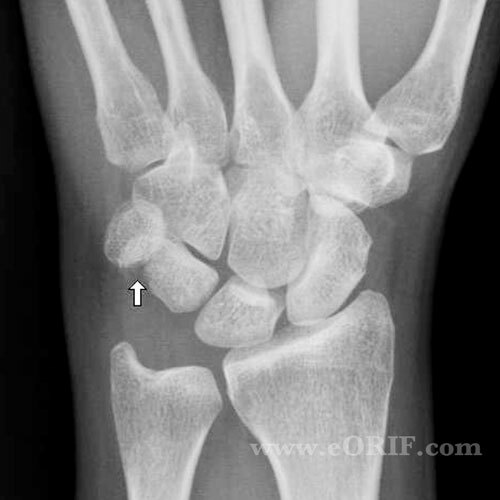 See all triquetrum fracture ICD-10 codes. 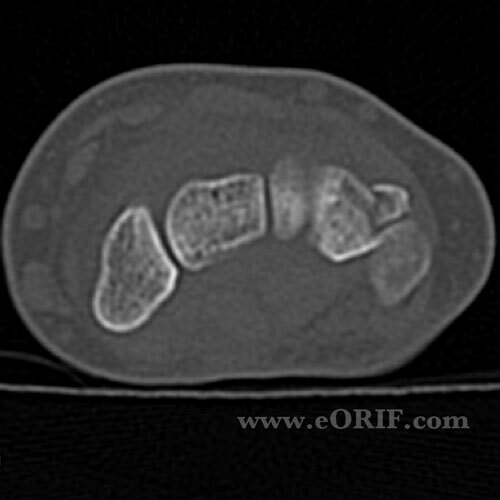 May result from a direct blow to the dorsum of the hand or extreme dorsiflexion of the hand. tenderness and swelling in the wrist. Tenderness over the triquetrum. 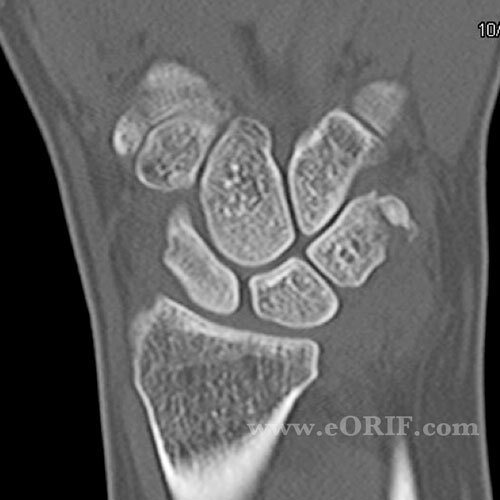 Triquetrum is palpated by radial deviation of the wrist which makes the triquetum accessible by moving it away from the ulnar styloid process. Chip fractures: 2-3 weeks of immobilization. Begin ROM exercises when symptoms permit. Body minimally displaced: cast immobilization for 4-6 weeks. Body displaced: closed reduction and percutaneous pinning or ORIF.